Regarding Florida’s new outmigration, “A lot of people are glad the merry-go-round has finally stopped. It was exhausting trying to keep up with 900 new people a day. Really, there is now some breathing room,” stated Carol Westmorland, Executive Director of the Florida Redevelopment Association at the Florida League of Cities. Now that surf and sand are officially unpopular, the urban vs. suburban development debate has caught developers and legislators in a freeze frame of ugly and embarrassing poses at local, regional, and state levels. In South Florida, Miami’s city commissioners narrowly defeated a move to institute a form-based code on August 7, which would have increased regulation in the most populous city in the state. This code would have rigidly set Miami’s density levels and regulated building form all the way down to the location of the front door. It constituted a surprising hometown defeat for Andres Duany and Elizabeth Plater-Zyberg, originators of the New Urbanism movement and the prime consultants hired to create the code. Commission Chairman Joe Sanchez, worried about restricting people’s use of property, stated that Miami 21 “exposes us to tens of millions of dollars in lawsuits from loss of property value.” Not ready to throw in the towel, however, the New Urbanists are appealing the vote in two public hearings. “We’re confident that the issues can be resolved,” stated Maria Mercer, who works for DPZ. The commissioners may be worried about lawsuits. The people seem to be even more concerned about Big Brother fussing about their property, judging from the public input on the code’s website. Blackballing suburbs with words such as “sprawl” is dissonant to most voters who, after all, live in these supposedly awful places; likewise words like “walkable urban cores” often conjure up the reality of parking and traffic nightmares. Then there’s something called the marketplace. 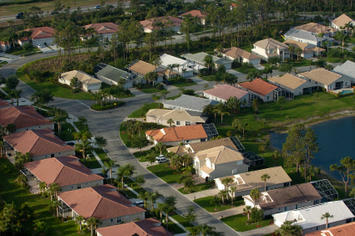 Florida is becoming less about retirees, and more about families. The much ballyhooed flurry of high-density urban projects doesn’t seem to fit the lifestyle of cars and kids and soccer practice too well. Then there’s the other downside of new urbanist growth, which is its cost. Young, single service workers and retirees – a natural market for these urban villages – cannot afford either the pricey real estate or the stiff maintenance fees. On the other hand, Florida’s upwards of about 300,000 empty single-family homes, by the Orlando Sentinel’s count, could provide a natural lure to families, more so than the 65,000 or so condominium units on the market in the state. This so-called “overhang” of 3 to 5 years of unsold inventory only serves to terrify homeowners who remain in the state and have to deal with depreciating property values for some time in the future. Clearly more density has been no more successful than the most mindless sprawl. The New Urbanists’ often shrill rhetoric has frightened many planners into pushing density on Florida’s fleeing population. The disaster that is Miami’s downtown and beachfront may be the best known, but throughout the state Florida’s high density developers and landowners are facing foreclosures, fading credit, and loss of business on an unprecedented scale. Those who came late to the party – witness poor Hollywood, Florida, a city which finally got its act together and aggressively redeveloped its downtown – look like empty movie lots. Elsewhere in cities across the state, vast tracts have been razed, rezoned for high density and now lie fallow or unfinished, giving the face of Florida a remarkably post-apocalyptic quality. Neil Fritz, Hollywood’s Economic Development Director, is sanguine about the dire straits of his town. “Oh, the urban areas will come back before the suburbs,” he stated recently. But in reality, downtown condominiums are a latecomer to the Florida scene, and are a forced market. They were viable largely because they compared favorably to single family detached dwellings in terms of price and convenience. In fact, quite the opposite is likely to occur, with the single family suburb – particularly those located near jobs – rebounding first as people’s natural preference, as it has been for over a hundred years. This might chagrin the New Urbanists, who spent a great deal of effort inventing such earnest fantasies as a “sprawl repair kit”, even though safety, mobility and open space remain deeply ingrained in the American lifestyle. Also, the high-density movement was fed by investors and owners of second homes – rare commodities in this post-crash world. Overdevelopment is easy to blame on poor government, which allowed developers to overbuild on credit, but as with the financial crisis in general, there is enough blame to go around. What municipality would not like dense urban cores full of affluent taxpayers enjoying lattes on the boulevard? This dream sadly has turned to the reality of empty storefronts, condos being converted into low-income rentals, or worse yet, empty lots being assessed at their lowest possible taxable value. The fringes of most urban areas continued to be developed at low density, and while they are suffering the same fate as the denser areas now, the effect is less profound since it is more spread out. Florida’s government just has no place to turn for more revenue, and relies mostly on property taxes and fees. Its main economic engine is development. Local governments, increasingly unable to pay for services, naturally encouraged density as a way to levy more and more property taxes, largely ignoring the long-term economic viability of specific developments. So-called “smart growth” indeed seemed pretty smart to cities and counties needing the taxes that they believed dense urban cores might someday generate. The best hope for Florida lies neither in the God-like precepts of the New Urbanist movement, nor in the hands of the developers, but rather in the hands of intelligent, humanistic conversation revolving around a sense of shared community and deeper values. With the internet as a tool, cities could be encouraging citizen input in advance of a proposal, rather than the old, 20th century tool of public meetings. This conversation is necessary as our legislators and developers dance their kabuki dance around imagined future prosperity. Florida seems to be drifting aimlessly, as no one at the state level seems to be concerned about the loss of population, instead congratulating themselves on creating the next boom. The cities and counties of Florida would do well to use this interregnum to retool their public process to give people more access to the right information up front. By allowing internet-based review and participation, people can provide intelligent input into development proposals. Armed with the right information, Americans historically have made excellent decisions, and Florida can become an example in how to better manage its single most important industry. In the meantime, the leadership of Florida would do well to examine the negative connotations of “sprawl” when describing the native habitat of their voters and taxpayers, and examine the consequences of encouraging density for a market that has yet to exist, and may not exist for some time to come. Submitted by andymoore44 on Wed, 09/09/2009 - 10:13. This is just a note on the section discussing Miami 21. Mayor Manny Diaz pushed to have Miami 21 read again before the city commission, and it passed 4-1. The plan has (and had) tremendous public support. The first voting that resulted in a stalemate, 2-2 (which is a narrow defeat only by technicality), was a strange situation in which one commissioner was absent, and another seemed to have mistakenly voted against it. The blog, www.transitmiami.com, covers the saga well. It will be voted on again for a second reading soon.